When a business grows, new employees and machines become part of the operation. This means that employers need to make some changes to the office countertops or cabinetry. Same thing goes in a home setting. 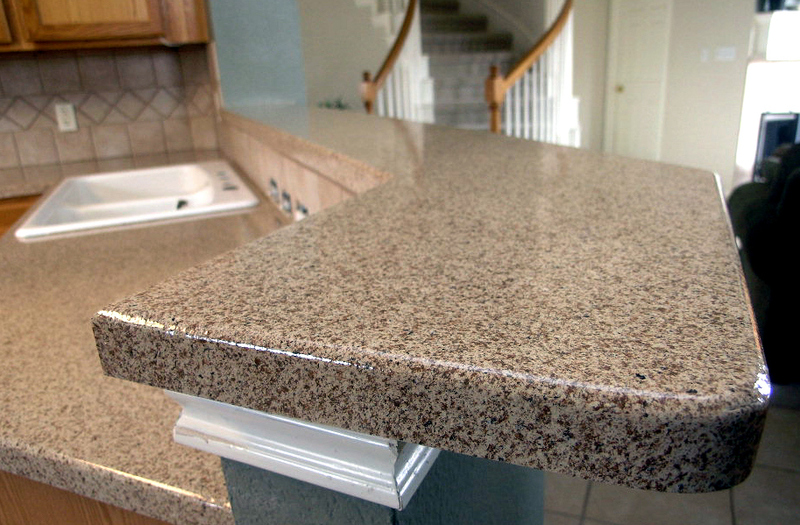 In such cases, you need to cut Formica countertop already installed in order to make way for new appliances or home remodelling. Check out these pointers to prepare for the job. You may consider getting help so that it will be less dusty. The other person can hold a shop-vac nozzle near the work area while you cut the countertop. A new pack of blades may come in handy. Your blade may get dull when you hit a screw or staple. To prevent chipping and protect the surface of the Formica countertop, you need to place masking tape first over the cutting line. Put on some more strips of tape where the saw base will run through because there is a possibility that the circular saw base might damage or scratch the countertop, particularly when you are using a worn out circular saw. Using a guide can really be helpful when you want to make a straight cut. Your circular saw may come with a “rip fence,” which is a T-shaped guide that you can use for your cut. This will help you cut your countertop evenly and safely. In case you do not have a rip fence or using it may not work in your case, you can improvise a guide for your saw. You can use a metal ruler like a carpenter’s square or just a piece of straight wood. When you use an improvised guide, you may not be able to brace it down on both ends. You may simply fasten one end of the guide into the protruding edge of the countertop, and then use a duct tape to secure the other end in place. This is so the circular saw blade will not hit the duct tape, making sure that the duct tape is near the wall. You need to be cautious in following the line and use the least amount of force on your guide. If you swerve a little off the line, do not worry because you can just clean it up afterwards using a sanding block or belt sander. When you use a circular saw, it will give a really clean cut because its thin kerf carbide blade has at least 40 teeth. When it comes to saw blades, thinner kerf is better because the saw will not work as vigorously while running the saw through the countertop. With or without using a guide, this will produce a straighter and steadier cut. Adjust the saw blade depth and set it to around 1/8 inch so that it will only run along the thickest portion of the Formica countertop. Remember to use a steady movement and cut slowly. If you want to remove more than one inch of the countertop width, you may cut at about 1/2 inch. If you are not able to cut right to the wall using a circular saw, you can finish the cut using an electric jig saw with a fine tooth metal blade or a special laminate blade. You need to place the belt sander in a way that it is running downward. This may cause a problem if you are working on the left part of the countertop because the body of the sander may get in the way while you move towards the wall. Be really careful if you are using the belt sander the other way. The laminate may chip if it is not well-attached. While the sanding process may slow down, you can use a finer sanding grit for the belt sander as this causes less lifting. To clean up your work, use a fairly rough metal file right close to the wall. Like the sanding process, filing should be in a downward direction so you will not lift the laminate. On a sanding block, use 220-grit fine sandpaper and run it through the cut, making it smooth while rounding it slightly. This process will remove any slight chipping as well as the razor-sharp edge that the laminate might get when you cut it. 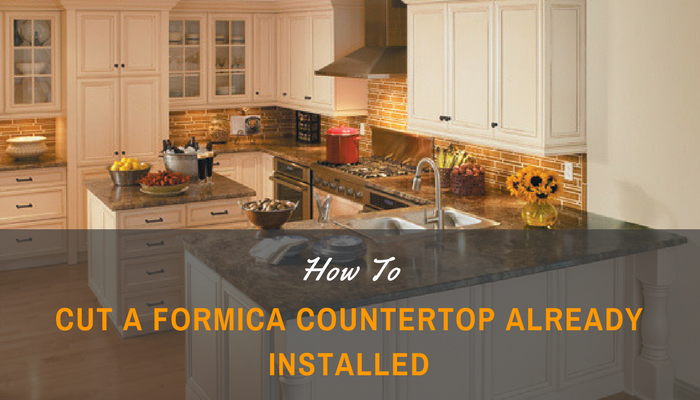 In situations where you cannot uninstall your Formica ﻿countertop, you can follow these instructions carefully to be successful in cutting it while it is still in place.